Have you ever had an image of a product in your mind – nothing fancy, just an “ordinary” version of something – but when you try to find it for sale, nothing quite matches that image? Everything you see is trying too hard to impress, with a stylistic flourish, a jazzy color scheme or other “designed” gloss. Or it has been cheapened through the use of low quality materials to the extent where you question its durability. This seems to be an increasingly common experience, and one brought home to me vividly in recent weeks. Having just moved to the USA, I was looking for a toaster. The archetypal image I had conjured was of a simple oblong affair in polished stainless steel or chrome with two-slots, long enough to toast slices cut from round loaves, and wide enough for bagels. This enabled me quickly to eliminate one particularly alarming group of toasters I discovered: a Frankenstein-like strain that had become conjoined with other kitchen appliances (egg poacher, mini-oven, coffee maker. Fig. 1) With my simple archetype in mind, a quick search on the internet seemed to present a number of possible matches, but on closer inspection nothing was quite right. Did I really need to defrost, reheat and keep warm my slices of toast at the push of a button, or just, er…toast them? Did I need to fine-tune the level of browning with ten degrees of accuracy? And did I need an LCD display to tell me what was going on? Fig. 1 Frankenstein's toaster's. Left to right, Back to Basics Egg-and-Muffin 2-Slice Toaster and Egg Poacher, the Hamilton Beach Toastation 2-Slice Toaster and Mini Oven, and the Toastmaster Coffeemaker/Toaster Combo. Visually too, the toasters were all straying slightly from the image I’d created. Many had plastic ends, some in different colors. The stainless steel was often brushed, not polished, and emblazoned with garish logos. The ones that came closest only spoiled things by self-consciously flaunting their ‘heritage’ art-deco detailing. I became frustrated. All I wanted was a “normal” toaster! The episode reminded me that a few years ago I’d been to an exhibition in London organized by the designers Jasper Morrison and Naoto Fukasawa entitled Super Normal. The show and accompanying book (Fig. 2) quietly presented a manifesto encouraging designers and manufacturers to shun superficial “specialness” in favor of trying to capture this endangered quality called “normal”. Their thinking is that if designers are constantly trying to differentiate new products (albeit within tight bounds) we will eventually lose sight of the quality that makes something normal. 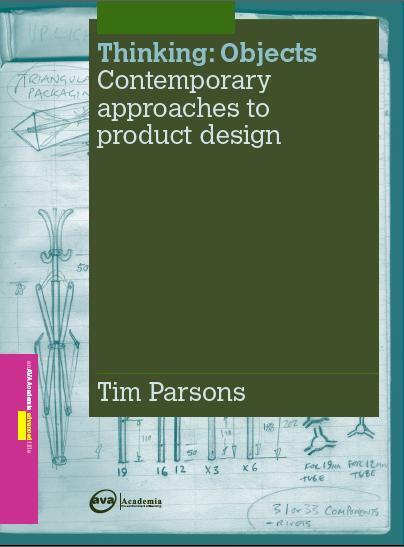 To stop that happening they suggest more designers should try consciously to capture that quality in new objects. These they call “Super Normal”. Fig. 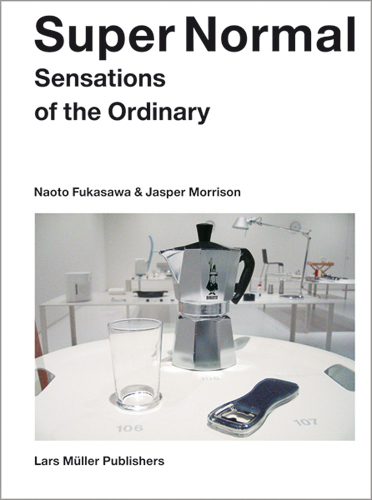 2 The cover of the book Super Normal: Sensations of the Ordinary by Jasper Morrison and Naoto Fukasawa. 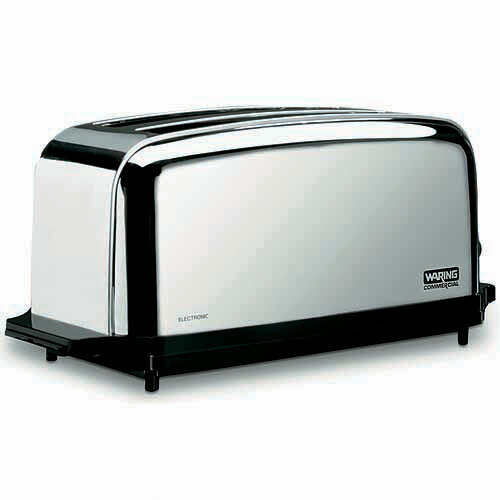 I finally found my archetypal toaster but, tellingly, I had to look beyond the domestic market to the catering profession. Where performance, not styling is the main selling point, “normal” has survived in the form of the Waring Commercial WCT704 (Fig. 3). It exudes the essence of quality American design – of a Greyhound bus or an Airstream caravan in miniature. Styled, but not overly so, generous in size, built to last and with no unnecessary frills. It toasts bread rather well too! I guess US market is different to UK one, where Russell Hobbs seemed to have corned the ‘normal’ market. When my one broke after just a year of use I bit the bullet and went for a catering one.. It isn’t cheap, but I bought it a couple of years ago and it is a real pleasure to use and look at. Its got a very nice mechanical bell – a loud ‘ding!’ – when it finishes its timed cycle…and I hope it will last till my teeth can no longer cope with toast. It seems supernormal to me too, without the stylistic flourishes of the more famous Dualit range. It wouldn’t cope with American beigels though and there’s only one ‘heat setting’. Its pretty basic but super solid. I’m glad you found a good toaster in the end. Toast is a supernormal kind of pleasure. I find I must take issue with you on several levels. Firstly on your objection to the multi function aspect of some of the products you spurned on route to your 21st century toast dream. Whilst I agree that it does seem perverse to crave a toaster that also poaches an egg, I think it a little unreasonable to spoil the pleasure of the users of such an item by attacking them in a way that would make them sympathizers of the evil baron’s cruellest plans. Also you seem guilty of similar pleasure to that of our would be egg poacher, in that you are clearly and without apology after a toaster capable of toasting ‘BAGELS’, the principle concern, by your own admission, of a toaster surely must be to prepare TOAST. For me it is just a small step from the bagel to the poached egg or indeed any number of breakfasty comestibles. Then of course there is your choice of the industrial toaster which you are trying to pass off as designed and sold purely on performance grounds. I would draw your attention to the upper curved surface, it is apparent from the nervousness in which you site the Airstream caravan and greyhound buses that you are clearly concerned about the bourgeois nature of this feature. “But the curve allows for the tiny toasted crumbs to fall away from the surface” I here Mr Rams say in the distance, spurious though this doubtless is, I conceded this point when I too recently purchased a toaster. It had so many things going for it. First the name, it has ‘Soft Touch’ in it, obviously made for me, I had previously own one that had gone wrong, it seemed foolish not to repeat the error. Then there was the word Dualit and its long association with Camberwell in South London, of course when I opened it I found that this model is not made in the UK at all! I suspected as much from the word ‘Lite’ being in the title, any firm wishing to make economies by removing one letter from a word to cut down on ink usage is sure to locate their factory in purely economic terms. But like you I was sucked in by my own perversity of not being satisfied with just making toast, oh no. My toaster comes with its own attachments in which to cage my wild Frankenstein like sandwich creations! Oh the folly of moving from the standard accepted breakfast, pass me the marmalade.